Following on from Saving Babies in 2007, TEN has upped the age bracket (a bit like they did for Idol auditions) to make Saving Kids. And like Idol, it also features Damien Leith as the show’s narrator. It’s a curious choice given 18 months ago he wasn’t really known as a singer, let alone an actor or voice-over artist. Stay tuned for new shows by Tarasai, the Duffy Sisters and Courtney Act. Leith assures us, in his biog notes, that acting and writing are actually his main passion. Lookout, Dean Geyer, this guy may take you down again. 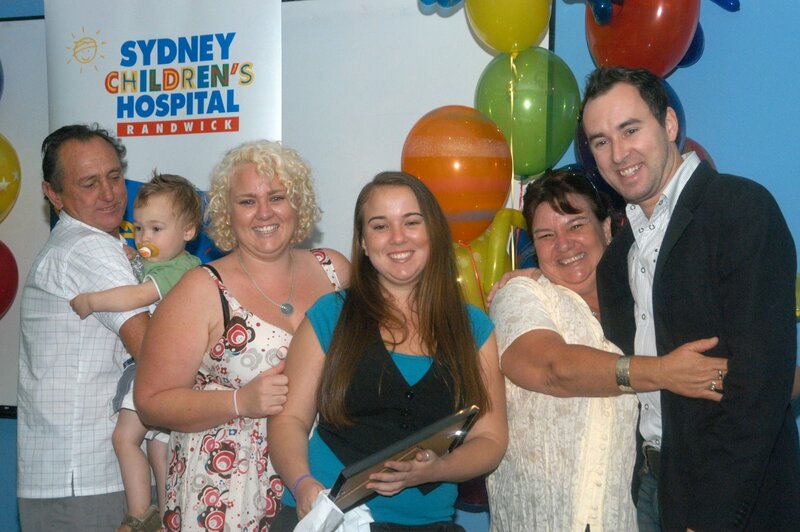 He was approached to use one of his songs as the theme, but when it was learned one of his own kids was a patient at Sydney Children’s Hospital he landed the narration gig. The observational medico genre is now officially at the same exhaustion point that hit our gardening genre two years ago. Medical Emergency, RPA, The Gift, Bush Doctors, Saving Babies, Nurses to name a few. That’s without even factoring in scripted drama. In fairness, I’m not really a follower of any of them, though clearly there is an audience. Leith has a strong following amongst women (not that there’s anything wrong with that) after his evergreen singing on Idol. He comes across as a down to earth, affable and courteous young dad, pretty perfect for a show wearing its heart on its sleeve. Like most of the others in the genre, this show follows kids undergoing medical care. Naturally the kids don’t say much, so the concerned parents provide the reactionary quotes. The first ep has an 11yr old boy who has drilled a screw into his hand, a critical 6yo girl who crashed her quad bike (there’s even a belated re-enactment of sorts, though without any gore) and a boy about to undergo a bone marrow transplant. Yikes, that must be why I’m not big on this genre. All the doctors explain the procedures with much professional duty of care. Where is Hugh Laurie when you need him? He’d spice this up no end. Leith is surprisingly good as a narrator, though I doubt there are any Logie awards in the wings. He delivers enough fact-based info with fawning concern. His strong Irish lilt is likely to win as many fans as it will deter others. Saving Babies, I mean Saving Kids, is an accomplished band-aid for a bleeding genre. Cue violins. I watched the first episode of this show and I thought Damien was perfect for the role that he played in it. He was caring, his voice was calm and he didn’t detract from the stories of the families involved. I thought it was a masterstroke getting him to narrate. It was a bonus to hear his song ‘Not Just For The Weekend’ playing in the background at different times. I am really looking forward to the next 7 episodes. Well done Channel 10 and Damien Leith. Controversy adds spice to comments and I’ll count the mention of less gifted people with Damien Leith as just that, David. And if someone isn’t famous does that mean they have no talent? However, good effort with the justifiably positive comments about Damien’s work. As Michelle and The Blake reminds us, the doco is about the strength of those kids and their families and Damien is the perfect choice to tell their story for the reasons you gave. David, according to your post on 22 January, the program premieres on Thursday 7 February, yet here you are staying it will premiere on Thursday 31 January. Which is it? Dear Anon, moving from a reality show to narrating an observational doco, I think it’s only fitting his first attempt comes under some scrutiny. If you read it again you will see I actually said Leith was “surprisingly good” with qualities that are “pretty perfect” for this kind of show. I’ve also flagged that I’m not a fan of the genre yet still acknowledged the show is every bit as competitive as the others in an over saturated genre. Still it’s a free world, if the tone of the site isn’t to your liking there are plenty of others around. What a sad, ignorant review you’ve written. It follows the usual begrudging “slam an idol contestant” paint by numbers routine. Maybe you should try doing some research before writing your articles, it might improve your journalist skills – Damien was chosen because he worked as a qualified chemist for almost ten years. As for being out of work – two tours, one novel and a self penned platinum album in 2007 hardly class as out of work – what did you accomplish in 2007. I wasn’t interested in this show at all when I first heard of it, but I know one of the girls on the show, so I’m going to give it a try – or at least watch the episode shes in. Shes a really sweet child 🙂 she really deserves that robotic ear. Perhaps he has signed some exclusive contract with TEN and they had to find something for him to do. Yeah especially the Duffy Sisters reference you’d have to be a real Idol fanatic to remember them! They are cute to so give them a show! “Stay tuned for new shows by Tarasai, the Duffy Sisters and Courtney Act.” That’s one of your better ones David!